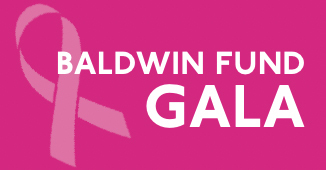 To benefit the Carol M. Baldwin Breast Cancer Research Fund of CNY and support grants awarded to Upstate Medical University's Breast Cancer Research Program. The Baldwin Fund has been a generous Upstate benefactor — all its fundraising goes to support research on our campus. Since 2002, the Baldwin Fund has provided over $3 million in grants for breast cancer research to Upstate Medical University. Hotel Reservation Reference "Carol Baldwin Breast Cancer Research Fund of CNY"
Upstate employees should contact Zanette Howe at 315.464.4836 for table reservation and individual tickets. Last Modified: March 27, 2019. Contact Marketing & University Communications with questions about the content of this page.